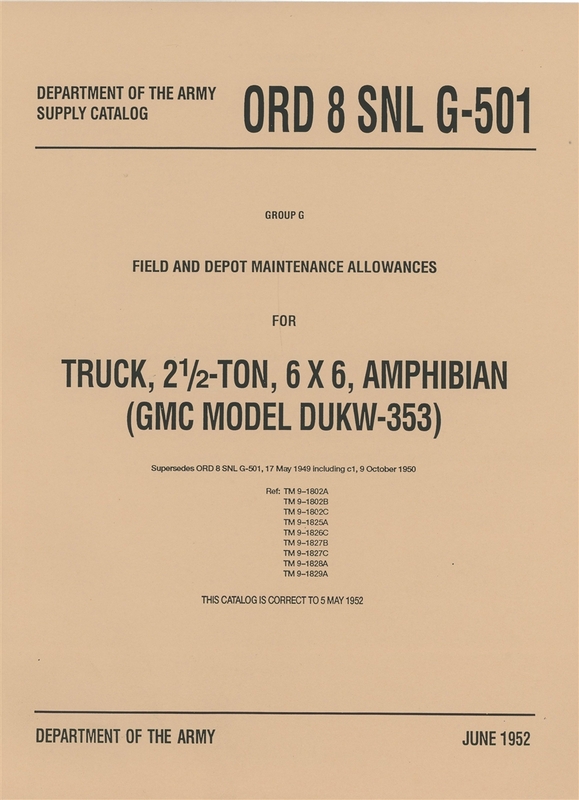 ORD 8 G501 Complete Parts (not illustrated) for GMC 2 1/2 Ton Amphibian Truck (G501) DUKW. 334 pages. 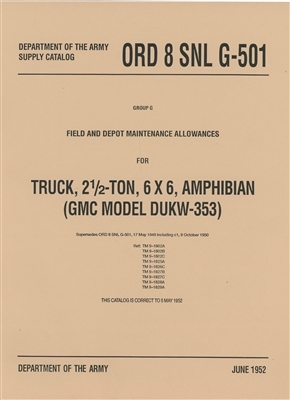 This manual is useful for part numbers and descriptions, but does not include many pictures. Order the ORD 9 for a complete, illustrated parts manual.